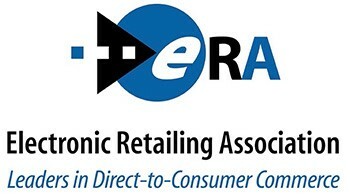 The Board of Directors of the Electronic Retailing Association (ERA) had been contemplating the future direction of the Association and despite having completed one of its most successful Government Affairs Washington D.C. Fly-ins in late May 2018, the Association could not continue operating in the face of declining dues receipts, fewer sponsorships and an overall shortage of revenue coupled with burdensome expenses. For more than twenty-eight years, the ERA and its predecessor entity, the National Infomercial Marketing Association (NIMA), represented, championed and educated its members and associates as the direct response industry evolved. The ERA, as the only non-profit association in the direct response space, advocated for self-regulation and best practices and helped take the industry from nascency to maturity. The ERA is very proud of the member companies that benefited, grew and prospered under its guidance and tutelage. The ERA Board of Directors, by a unanimous vote, determined that effective Friday, June 1, 2018, it was prudent and practical for the ERA to terminate operations and close down. The Association thanks all of you for your valued commitment and support over the nearly three decades of our existence. This outcome is certainly not what the Board of Directors had desired. The financial predicament that the Association had been experiencing could not be sustained, and it is with regret that the Association bids you farewell.